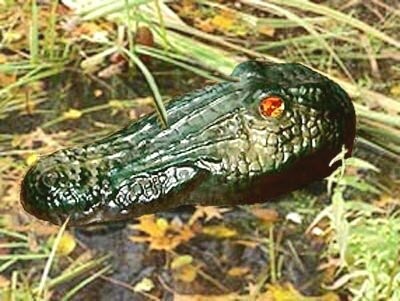 PRODUCT DESCRIPTION: Styrofoam constructed to look exactly like an Alligator head. 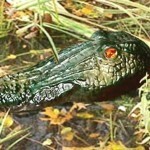 It has all the details, is painted green and has two eyes which are visible under low light. WHERE TO USE IT: Along pond shores, lake shores or any other water where nuisance animals are present and you want to keep them away. RATE OF APPLICATION: One head can be configured to float around in a large area. However, the more the better. Try to get at least one placed out for every 1/2 acre of water; more in a smaller area will have that much more of an impact.